A King County risk-management official says one insurer will cover the first $25 million and is confident the seven carriers that provide the next tier of coverage — up to $75 million — will pick up the balance. The new price tag for the catastrophic Feb. 9 flood that crippled the West Point Treatment Plant is up to $57 million — more than double the previous estimate. But taxpayers may be off the hook for most of it. 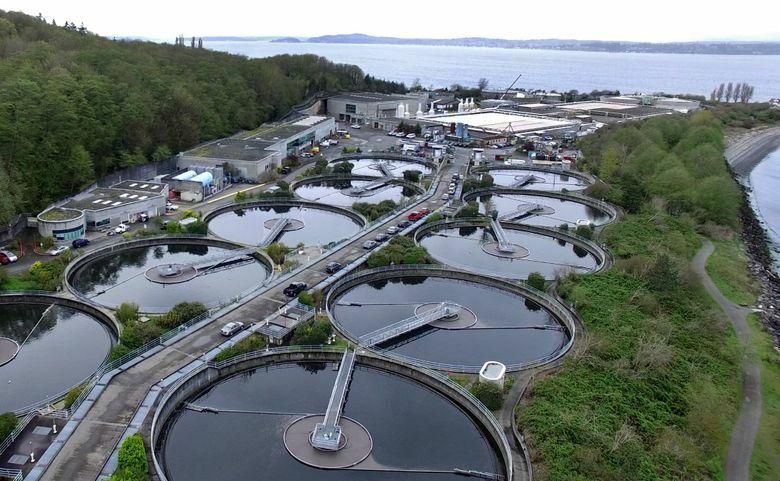 The Wastewater Treatment Division, in a letter Friday to the Metropolitan King County Council, updated its initial estimate of $25 million in damage, stating major repairs and replacement of equipment will continue through October and cost $49 million to $57 million. A Seattle Times special report found errors in judgment, poor communication, a lack of training, equipment failures and faulty maintenance led to the devastating flood at the region’s largest plant. Wastewater managers say it is one of the largest infrastructure catastrophes in regional history and they were lucky no one was killed. King County Office of Risk Management Services Manager Allison Frey said insurance company FM Global will cover the first $25 million and is confident the seven insurance carriers that provide the next tier of coverage — up to $75 million — will pick up the balance. “No part of the claim has been denied,” she said. She said teams representing several insurance companies have participated in weekly meetings about the progress of the plant. So far, the county has received $7.5 million from FM Global to cover costs. Taxpayers will still have to pay the insurance deductible of $250,000, water-monitoring costs and fines for violating federal and state environmental permits. Because of the damaged plant, King County has dumped 235 million gallons of untreated wastewater into the Puget Sound for the past three months. The plant resumed performing full wastewater treatment on May 9. The County Council has hired AECOM Technical Services of Seattle for up to $418,000 to conduct an independent investigation of the catastrophe. “The public deserves to know exactly what happened and why and how it happened, as well as deserves assurance that this will never happen again,” stated County Councilmember Jeanne Kohl-Welles. The state Department of Ecology continues to investigate the flood to determine the number of violations and the amount of any fines.